Our aluminum Slimline Frame is an all-around fantastic finishing touch for any acrylic glass photo print. 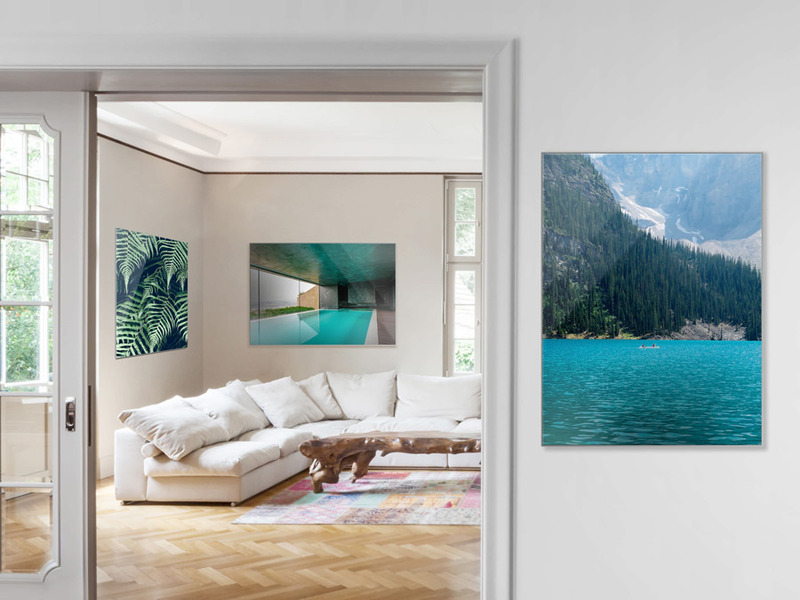 The frame’s small width and depth bring out the best in your acrylic glass photo prints, without drawing too much attention to the frame itself. With four colors to choose from – Silver, Gold, Black, and White – you can find the frame that perfectly matches your image. With the minimalistic Slimline Case, your Acrylic Photo has a clearly defined, yet subtle border with a aluminum look. At just 1 mm, this frame is very thin, so it fits with all images. The Slimline Case is available for all acrylic mountings with a thickness of 1/16" (2 mm), 1/8" (4 mm) or ¼" (6 mm): photo prints behind glossy or matte acrylic, ultraHD prints under acrylic as well as the Metallic print under acrylic. 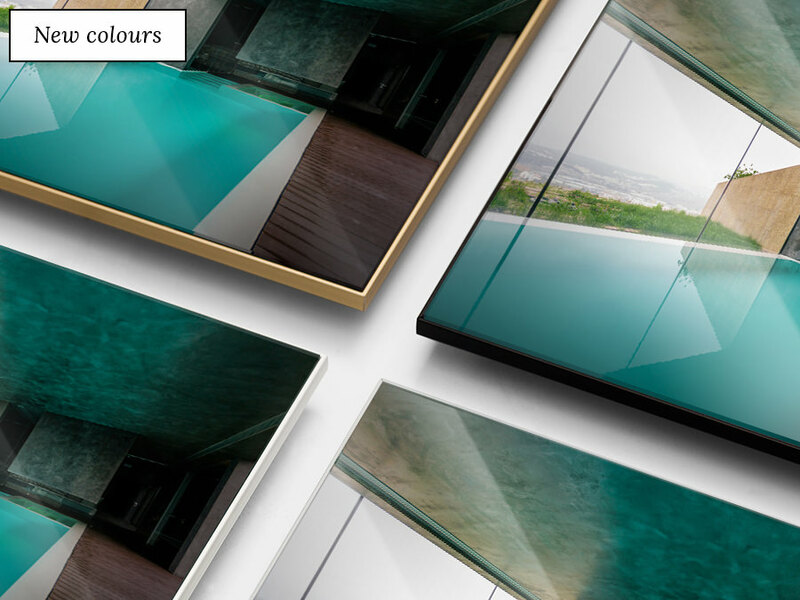 Thanks to the shallow depth of only 0.5 cm for an acrylic glass thickness of 1/16" and 0.7 cm for acrylic glass with a thickness of 1/8" or ¼", Slimline does not align exactly with the acrylic, meaning that the artwork protrudes 1.5 mm out of the frame for a stunning effect. We have extended our product range for you and also offer the Slimline Case in the colors gold, black and white besides silver. Gold and black have a matte finish; the white case has a glossy surface. Choose the frame color either in a way to match your picture or as a contrast with an appealing effect. 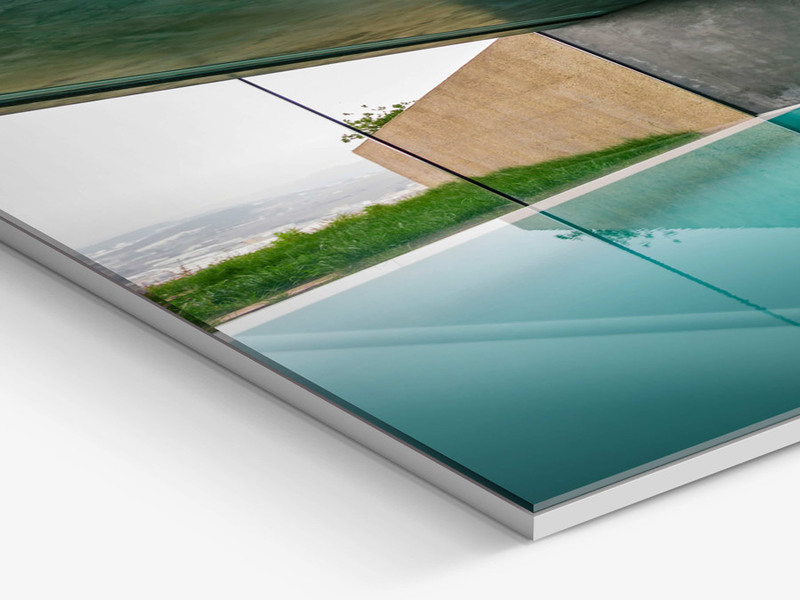 The lightweight and shatterproof acrylic glass enhances the features of your photo print. The glossy acrylic glass variant with a thickness of 1/16", 1/8" or ¼" brings out the luminosity of the colors and provides an additional sense of depth in the desired intensity to the picture. 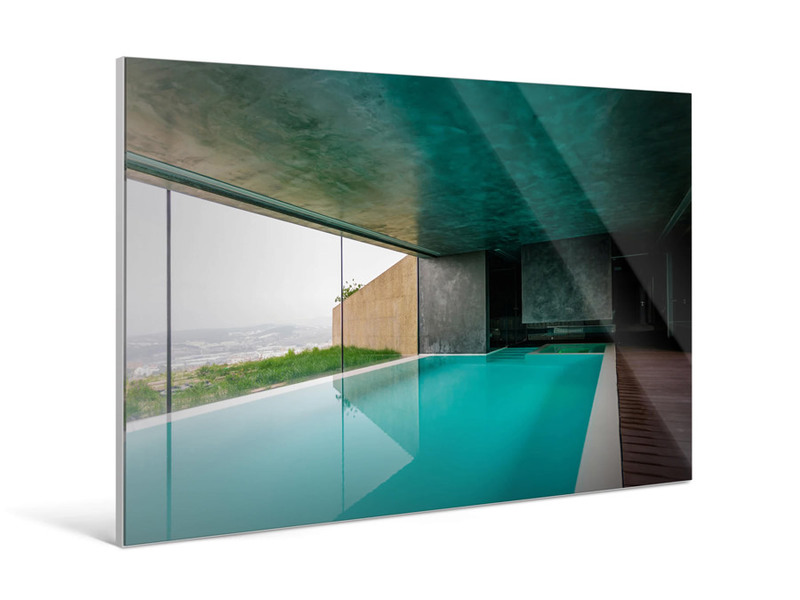 The matte acrylic glass subtly accents the color and depth while also preventing reflections. High-tech laser exposure, classic wet development, and first-class photo papers ensure dependable, premium quality from WhiteWall. For your acrylic photo print in an aluminum Slimline frame, we offer the following brand-name papers to bring out the best in your picture. At WhiteWall, we use silicone instead of glue to adhere different materials to each other. Silicone protects and seals, but is also elastic and absorbs various expansions and contractions in the material due to changes in temperature. To us, this makes it the perfect ingredient for long-lasting, bubble and crack-free mounting in a Slimline Case. At just 1/8" (3 mm) thick, aluminum Dibond makes the perfect backing for your photos mounted under acrylic glass. The backing is sturdy, lightweight, and prevents all light from shining through. At the same time, its triple layer construction (2 platinum white aluminum panels sandwiching a polyethylene core) protects your photo from getting damaged or bending. At WhiteWall, your pieces come standard with practical wall-mounts on the back. You can immediately and securely hang your Photo Print Under Acrylic Glass with a Slimline Case thanks to the pre-installed aluminum rails.